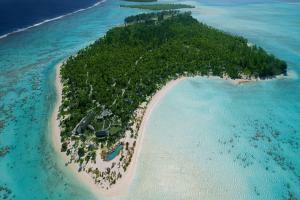 Located just a short 20-minute flight from Tahiti to Tetiaroa. Beachcomber Café; Les Mutinés Fine Dining Restaurant; Te Manu Bar; Bob's Bar. Private beach dinners and in-villa staff prepared gourmet meals are available.